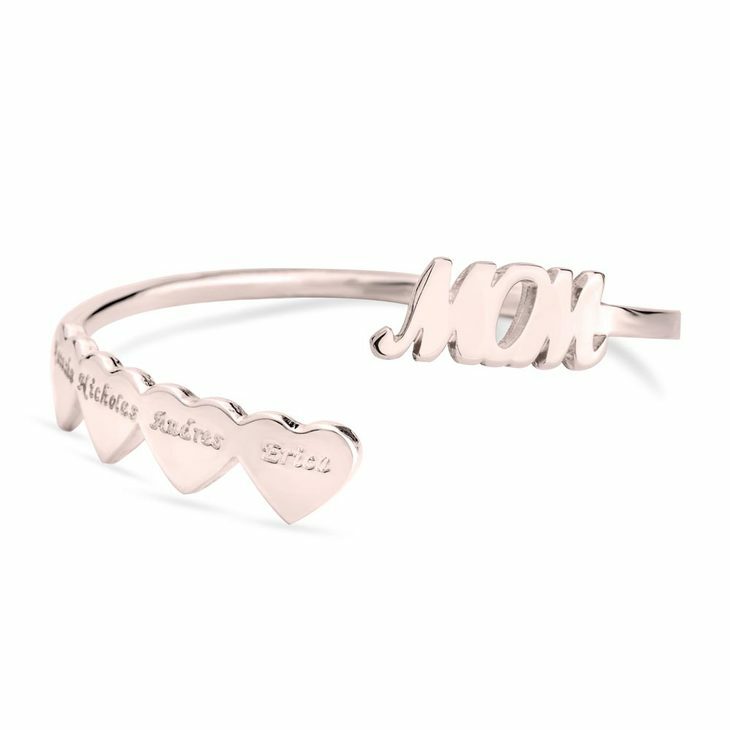 For any mom, the most important people in life, are her kids, spoil her with this amazing Mothers Bangle With Children's Names, each name goes engraved inside a heart and at the end of the bangle the word Mom shows up! 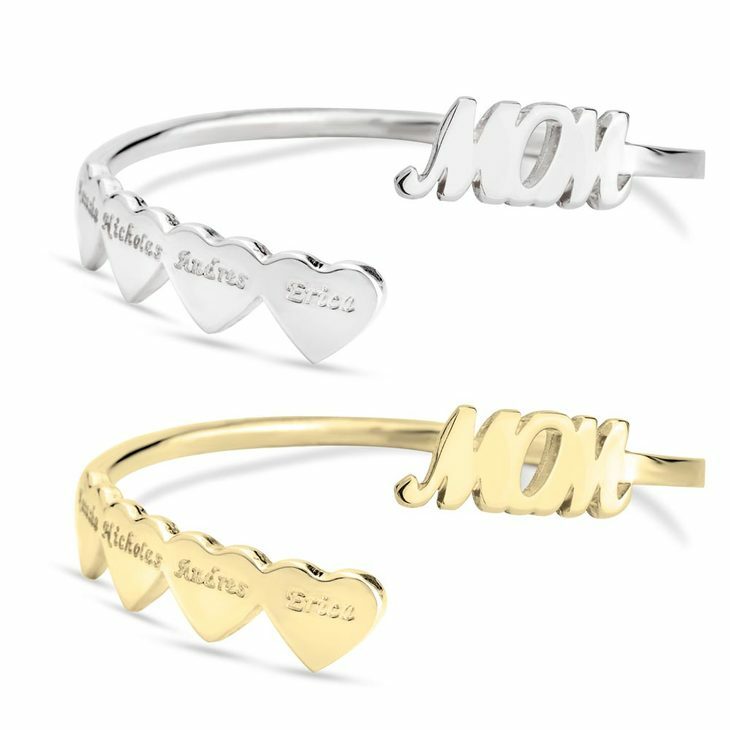 What a better way to tell mom how much you love her than having your hearts always with her! You can personalise it with names or words and pick her favourite metallic tone. 186mm x 10mm / 7.3" x 0.4"